Registration opens Friday, March 1, 2019 at 8 pm PST! Where is the Institute Office during institute? It is in the dorm, Emerson Hall, room 130. If you need to reach us, and we are not in the office, please contact us via the Remind app. Click this link: remind.com/join/2019jssi or text @2019jssi to the number 81010 to join the 2019 Participants group. We will use this app to send reminders and updates. How do I log back into the account I used for registration to add another child, change my meal order, or submit in my video audition link? 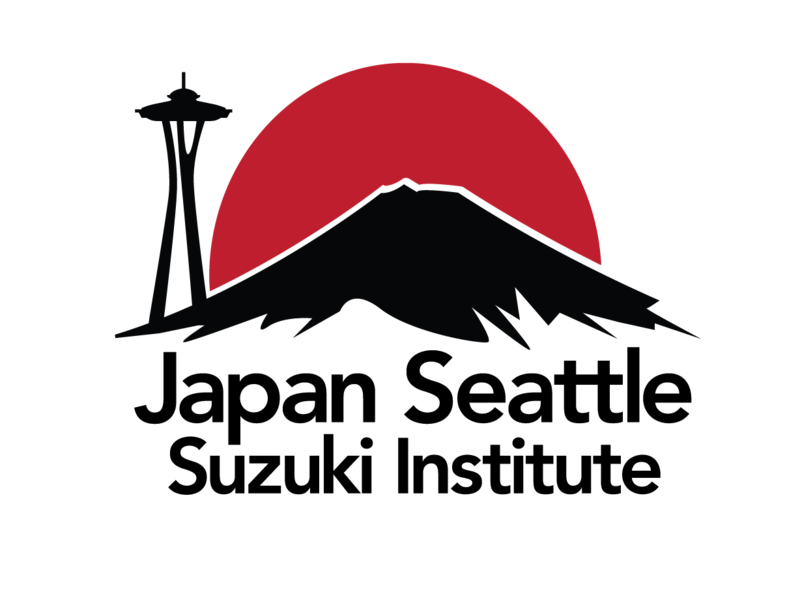 Follow this link: https://japanseattle.org/register-here/ and enter the email address and password you created when you registered. From the dashboard, you can add another participant profile or navigate to particular forms. When and where is check-in for students? On Monday morning from 8-10 am, you can check in to your dorm and to institute in the Emerson Hall lobby (500 West Emerson Street). When you check-in for institute, you will receive a registration packet with a copy of your student schedule. Otherwise, check in to your dorm with SPU conference services (3220 Sixth West) from 9 am – 5 pm; at all other times of the day or night, you may check in with the security office of SPU (601 West Emerson, 206-281-2922). Follow the links for additional information and a photo of the building. When and where is check-in for teacher training? Teacher workshop participants can pick up their registration packets on Sunday morning in the Emerson Hall lobby from 8-10. Those staying on campus can check in to the dorm with SPU conference services (3220 Sixth West) from 9 am – 5 pm; at all other times of the day or night, you may check in with the security office of SPU (601 West Emerson, 206-281-2922). What will be provided in my dorm room? Linen packets are provided with your dorm room, including towels, sheets, a blanket, and a pillow. Toiletries and hangers are NOT provided. Dorm rooms are not air-conditioned, so you may wish to bring or purchase a fan. There is a coin-operated laundry room on the first floor. To connect to the internet, open your browser and register online. What else do I need to know about the dorms? No alcohol is allowed on SPU campus! The outside doors on Emerson are locked from 9:00pm-7:30am, and your plastic key card is required for access. Inner stairwell doors lock; if you use the stairs, you will likely end up locked inside! Quiet hours are from 8:30pm-7:30am. Lost key/meal cards incur a fee of $25. Lost room keys incur a charge of $150. There is free street parking as well as open lots on SPU campus. No trailers are allowed to park on campus. Where do I get my meal cards? Coming soon… All meal cards and key cards must be returned on the last day in good condition or pay a $25 fee. When and where can I practice? You may practice in the dorms between 7:30 am and 7:30 pm, or use any free classroom during the day. Room schedules are posted at each room. Do I have to carry my cello with me to recitals and lunch? We will arrange a cello lock-up room that will be locked each day between 11:00 am and 12:45 pm. This is a good place to leave cellos during lunches and recitals. Cellists should not leave their cellos in the lock up room beyond the start of classes at 1 pm. Do not interrupt class to collect your instrument. What are appropriate concert manners? Honors Recitals begin at 11:00 in the church, with announcements first. Children should sit quietly with their parents. Parents of babies or toddlers should sit near the exits, and leave immediately with noisy children. Others should wait to enter or exit the concert hall between pieces. Food of ANY kind, including gum, is not permitted anywhere in the church. No smoking. Do not attach posters, schedules, or anything else to walls or doors. What should I wear to the Final Concert on Friday? Wear your institute t-shirt and a skirt/slacks. Check out is available Thursday evening at campus security or Friday anytime at the Conference Services Office. On Friday afternoon, check out from 4:00-5:00pm in the Emerson Lobby or the lobby of the sanctuary (for those who are leaving directly from the final concert). Check out on Saturday before 9 am is at Security or from 9-10 at Conference Services. Please check out no later than 10am on Saturday. If you don’t return keys, key cards and meal cards in good condition, you will be charged. Still have questions after reading through the website? Want to volunteer during institute? We’d love to hear from you. Your tax-deductible contribution supports the the Suzuki Education and Research Association, a 501(c)(3) non-profit organization, which operates the Japan Seattle Suzuki Institute.